Using AWS, McDonald’s Corporation transformed into a digital technology company, beat performance targets by up to 66 percent, and completes 8,600 transactions per second via its point-of-sale (POS) system. McDonald’s Corporation is an American hamburger and fast food restaurant chain that serves 69 million customers each day. McDonald’s uses a number of AWS services including Amazon EC2, Elastic Load Balancing, Amazon EBS, and Amazon ElastiCache to support its global POS system, including 200,000 registers and 300,000 POS devices. 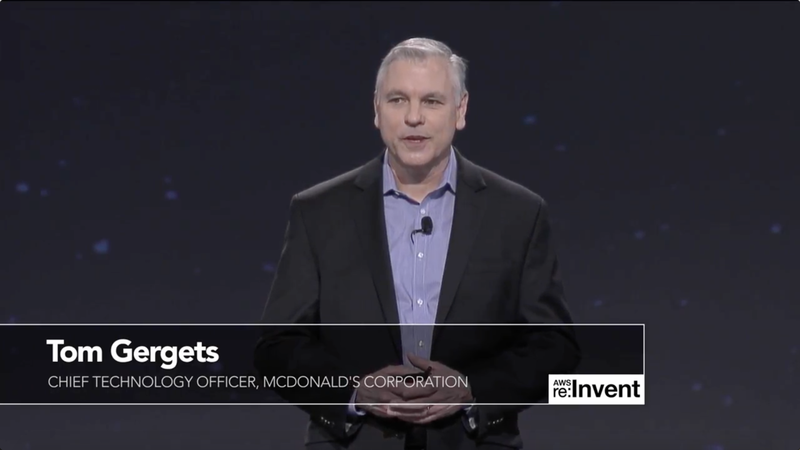 Tom Gergets, CTO of McDonald’s Corporation, spoke onstage at re:Invent 2016. To learn more about how AWS can help manage your website or web app, visit our Web and Mobile App details page.